My broadcaster partner Jeff Montgomery and I interviewed Kuntz on Sports Radio 810 this week and he told us, “I guess I’m just truly blessed by being around a bunch of guys that want to see if I can actually coach until I’m 80.” It’s not that he doesn’t love the job, or that he’s old, even if he wants you to believe that. 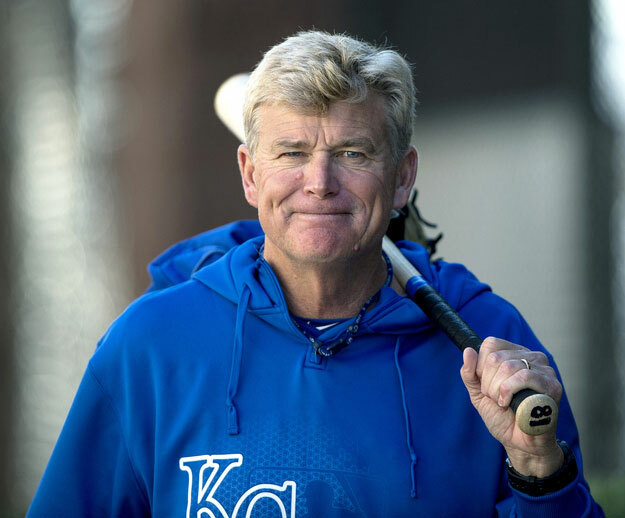 Kuntz will turn 61 in February and brings endless energy to the Royals. He’s spent well over half his life in big league dugouts and coach’s boxes, a lifetime’s worth of hours scouring video and throwing batting practice. The injury list of current or past ailments he shared with me last spring training could keep a doctor in business for decades. Eye surgery, bone chips in his right elbow, broken left arm, lower back, no cartilage in the right knee, bone spurs in his right ankle. That was before he missed eight games in August with a sinus infection and stomach virus. So yes, he’s beat up just like most coaches. More than anything for Kuntz is the fact he loves to teach. He doles out his wisdom daily to the best baseball stars in the world but he’s truly happiest roaming around the spring training facility and minor league fields while showing young, unpolished kids the way to play the game.